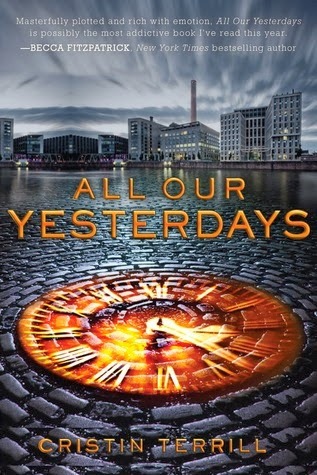 ALL OUR YESTERDAYS is a YA time-travel sci-fi that reads more like a YA mystery with a heavy romance angle. I started it in September, (before the blog) so I although went back and skimmed, I may have missed some of the content. 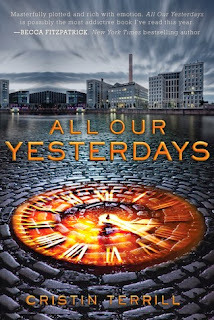 All Our Yesterdays is about a pair of kids that go four years into the past to murder someone destined to be a villain. It's an interesting moral dilemma and brings up thought-provoking issues. Unfortunately, the plot isn't quite as thought-provoking. All Our Yesterdays gets a (PG-13) rating for content.